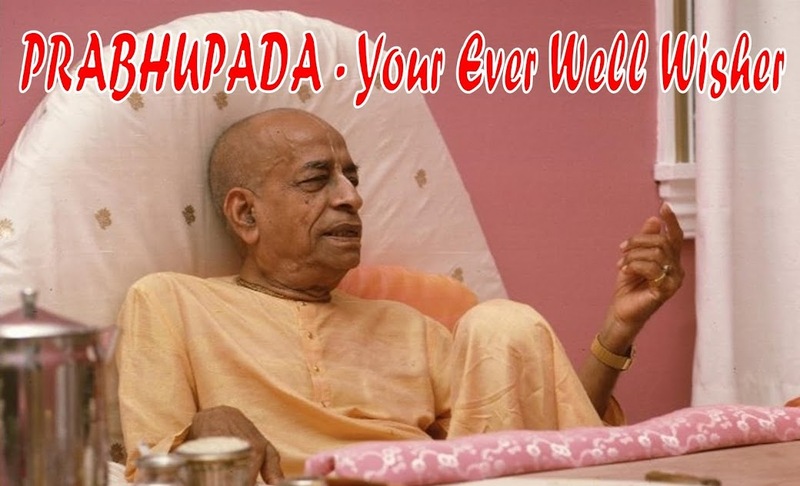 Prabhupada Your Ever Well Wisher: THE JEWS KILLED SWAMI JESUS - PRABHUPADA ! IRM has decided poison tape is not conclusive evidence, i think this because one of the people I decided to talk to was talking about needing to dig up prabhupada corpse to prove this. I know from talking to this person that he had not listened to the poison tape carefully. Mi comentario es en Español porque quiero decir con mayor precisión lo que siento por Prabhupada. Consiste en decir que realmente fue un hombre santo. No soy practicante de ninguna religión, pero la Santidad de este gran hombre me tiene muy impresionado. El realmente vino a instruir a los jóvenes de todo el mundo, prepararlos para vivir de la mejor manera, pero ciertamente los demonios han venido a causar un grave daño a toda su herencia. Admiro mucho la visión tan amplia que tenía de la condición humana porque se dio cuenta desde ese año, 1977 y tal vez desde antes lo que vendría con el nuevo orden mundial. ¿Qué tenemos hoy? un mundo miserable, enfermo de ambición, gobernado por verdaderos demonios. Devotos del mundo entero, dar continuidad a la obra de este devoto puro del Señor es ahora más necesario que nunca y así tal vez la humanidad se salve de una gran catástrofe. ¡Hare Krishna! My comment is in Spanish because I want to say more accurately what I feel for Prabhupada. It consists in saying that he really was a holy man. I am no practitioner of any religion, but the Holiness of this great man is very impressed. He really came to instruct young people all over the world, to prepare them to live in the best way, but certainly the demons have come to cause serious damage to their entire heritage. I admire the wide vision I had of the human condition because he realized from that year, 1977 and perhaps before that which would come with the new world order. What do we have today? A miserable world, sick with ambition, ruled by true demons. Devotees of the whole world, to give continuity to the work of this pure devotee of the Lord is now more necessary than ever and so perhaps humanity will be saved from a great catastrophe. Hare Krishna!